I had a lot of fun quilting. 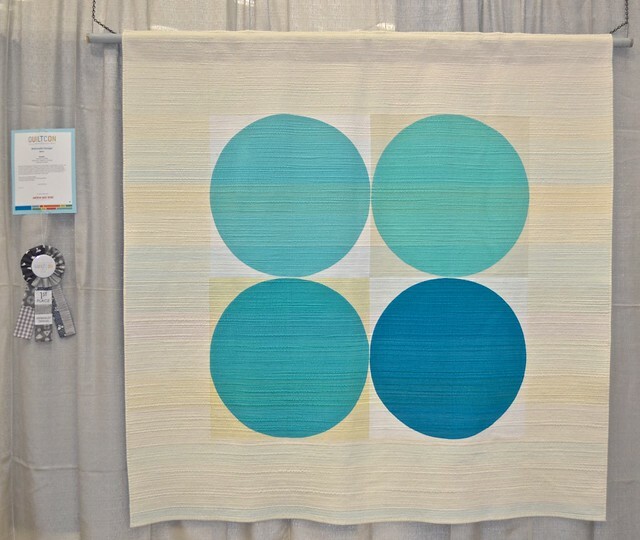 Breathe won first place in the QuiltCon show's Minimalism category and she was chosen to tour with the MQG exhibit. Breathe is my favourite of all the quilts I have made. 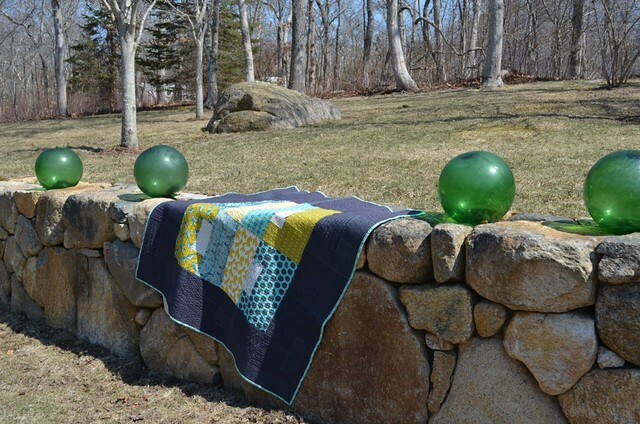 Echoes was published as a pattern in the first ever QuiltCon Magazine. 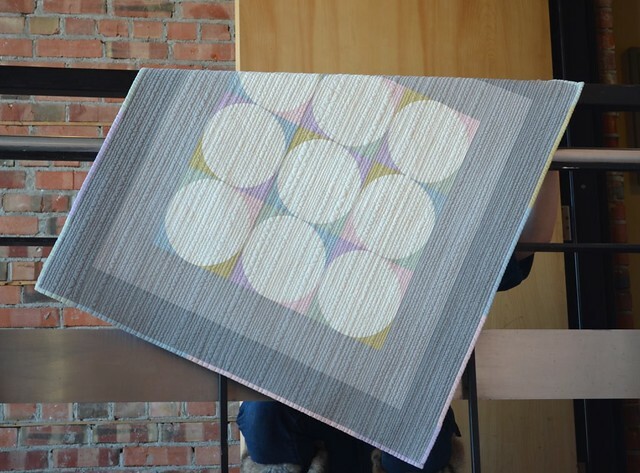 Echoes won first place in the Modern Wall and Bed Quilts category at Quilt Canada. Echoes was also chosen for the Modern Quilt Guild Exhibit at the Houston International Quilt Festival in October and she will be at the Quiltcon show in February 2016 in Pasadena CA. My first pattern in a book was published in Krista Hennebury's - Poppyprint - book Make it, Take it. Stephanie - Spontaneous Threads - and I conceived of and were a part of a fantastic quilting bee with the best bee mates - Bee Sewcial and it will continue into year 2. I am a part of an international round robin group to make a mini quilt, again with a wonderful, talented group of quilters - which has been fun and far more challenging than I expected. Nicky - Mrs. Sew and Sow - and I successfully hosted Scraptastic Tuesday for the whole year. I went to Spring Quilt Market. I taught my first quilting class in Inuvik, Northwest Territories. 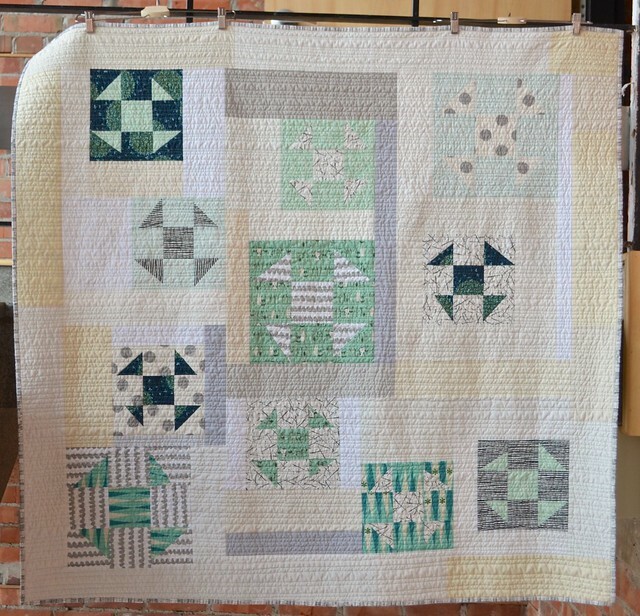 I made almost exclusively quilts, which was what I wanted to focus my sewing time on doing. Overall, 2015 was a fantastic quilting year for me. A 2016 word - intention. I don't normally do this "word" to be guided by thing, but I keep coming back to intention so I am going to have a word after all. Intention in my actions, my choices, my time, whatever. I hope to look back on 2016 and feel less buffeted about by things. I might have to make a small quilt to remind me. I plan to be more engaged on my blog this year. My plan is to share more of my creative journey and progress as well as more tutorials. 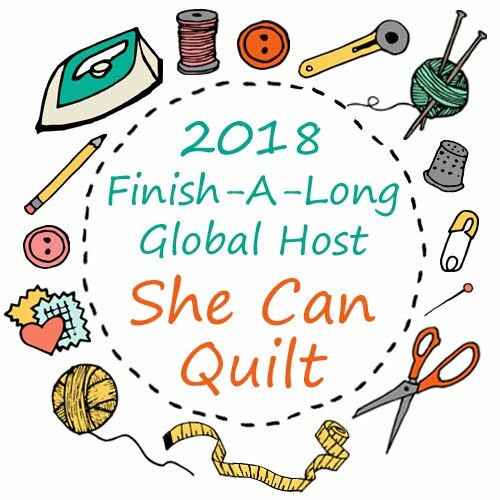 Nicky and I will continue to host Scraptastic Tuesday and as I mentioned the other day, I will be one of the global community of Finish-A-Long hosts too. I hope to use instagram more consistently. I might even make friends with Facebook, we shall see on that one. 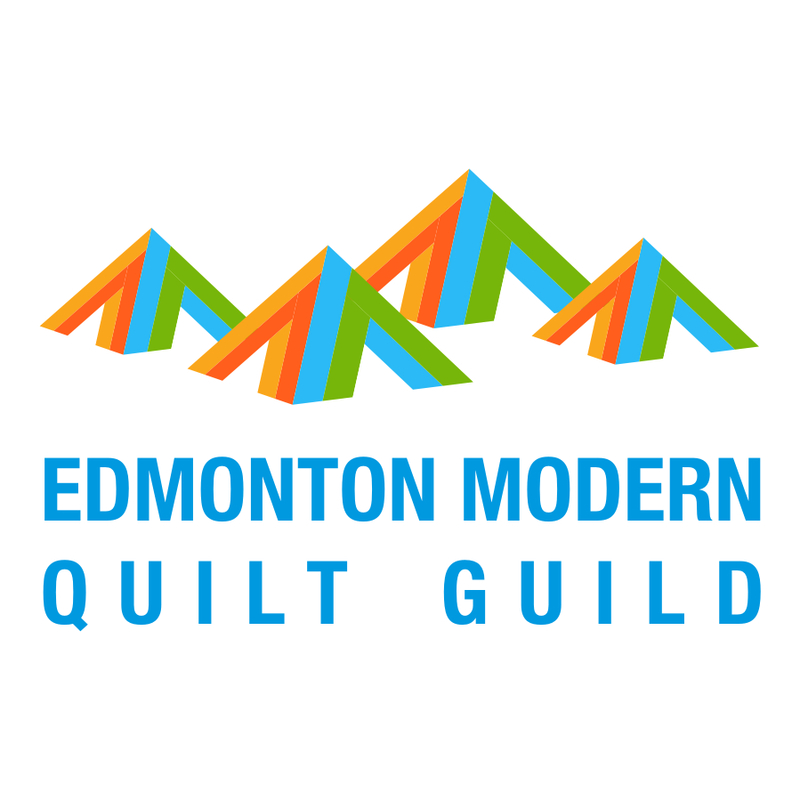 I also plan to engage with modern quilters at QuiltCon and hope to be able to attend one of the Quilt Markets. I am giving some thought to entering a show or three as well, but first it is time to make some of the new quilts that live in my imagination to enter. I have so many patterns in my head to write up and to try out. I am hoping to get two written and tested shortly - Consider and Twirl - and I know I have said that before and did not do it. This year is going to be my year for patterns - both for sale and as tutorials, that is one of my intentions. (see, maybe that word thing will work). So stay tuned, I think that 2016 will be a fun year! All the best to you and yours for the New Year and thank you all for inspiring me and supporting me. Enjoyed your review and beautiful quilts. Congrats on all the goodness. Wishing you the best with your goal of intention. 2015 sounds like a wonderful year for you, and I wish you continued growth, success, and joy in 2016. I think the best way to set mindful intentions is to talk about them, so I think you are probably well on your way for your new year goals. What a great 2025 Leanne. I look forward to following along with you in 2016 and maybe I'll even link up to Scraptastic Tuesday again, or maybe I should say I intend to link up to Scraptastic Tuesday again. What a wonderful list of successes in 2015, Leanne. I hope 2016 is as successful and that you manage to achieve all you intend to. 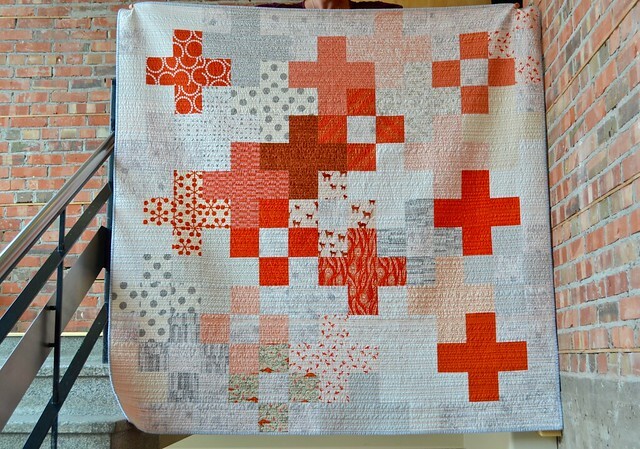 I have to say that Breathe is one of my all time favorite quilts. Thank you so much for this. Have a very happy 2016! Always a pleasure to see your finished quilts and I love POW, it's going on my list of quilts to make this year! Have a Happy New Year!! You had a great year and I love your quilts! Happy New Year! That sounds like a pretty good intention, Leanne! Happy New Year to you and your family! 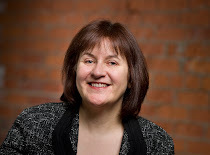 You have had a fabulous year, Leanne......I have no idea how you do it all, plus throw a move in there. All the best for another amazing year. 2015 was such a great year for you, you can't be anything but very optimistic about the new year. I'm so excited to be following you! 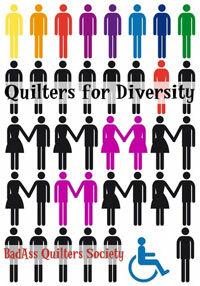 All your quilts inspire us all......keep making them. If you ever need pattern testers I would love to help you out. 2015 was an awesome year for you! I wish you all the best in New Year! I'm sure it will be even better!